Newcomer made in germany, easy, semi-automatic operation, solid, elegant, high quality housing! 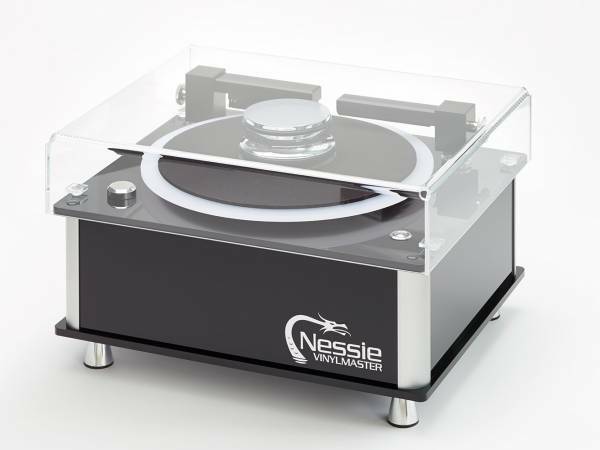 The beautiful Nessie Acrylic Dustcover protects the surface of the machine against dust and damage. The cover is crafted from clear acryl. Openings guarantee exchange of moist and protect against mold. Related links to "Nessie Vinlymaster Dustcover"
Customer evaluation for "Nessie Vinlymaster Dustcover"